I'm a little late getting this Culcita Box Unboxing posted, but I wanted to make sure to get the post up before the end of the month. 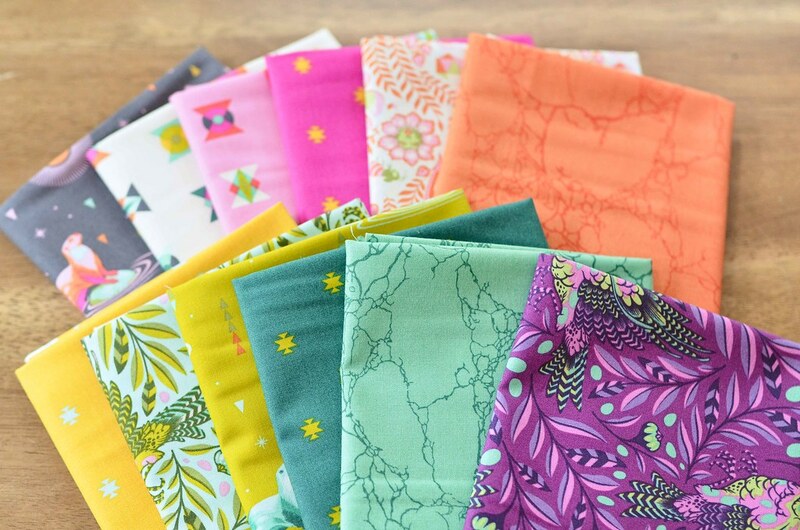 This month's box contains Tula Pink's new Spirit Animal prints and as usual, the colors are stunning. 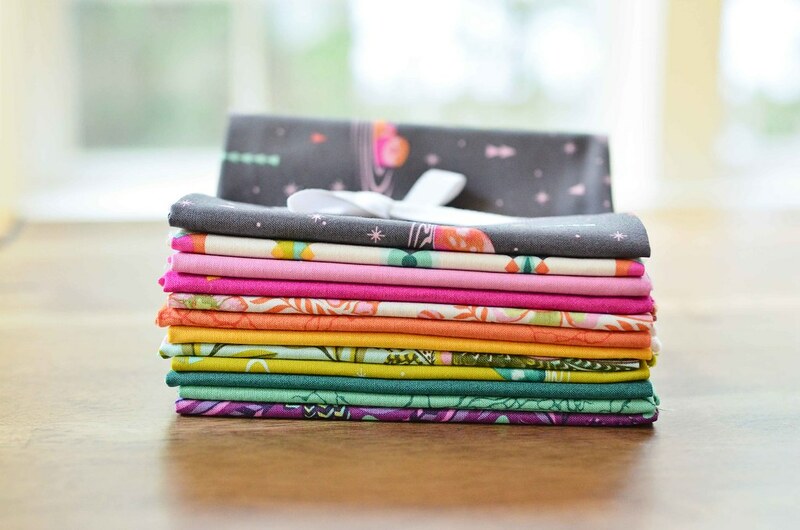 The pattern in this box, Staggered, would be great for using up scraps so I am going to add it to my to do list. 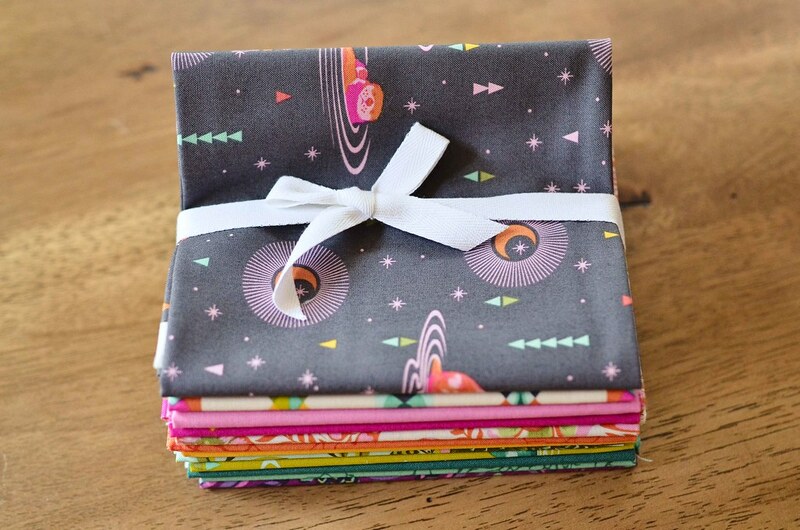 I am particularly fond of the purples and oranges in this collection and the seals are adorable! 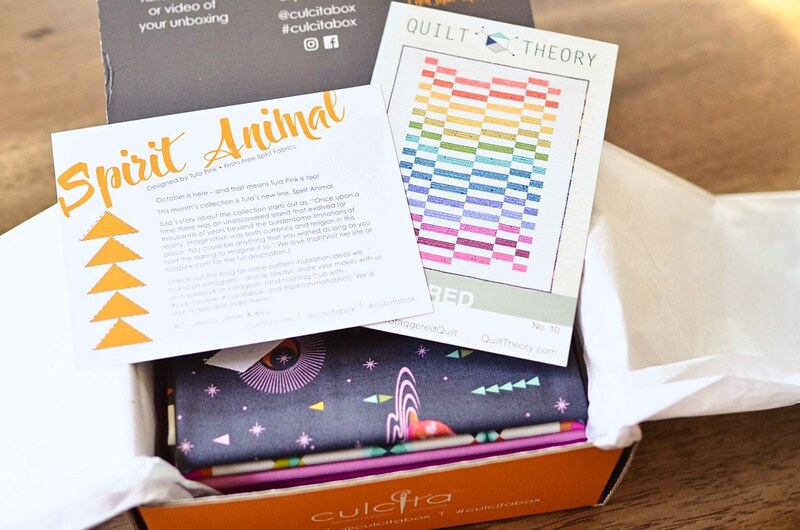 f you would like to pick up this month's box, or subscribe to a monthly Culcita box delivery, check out the options on their website.